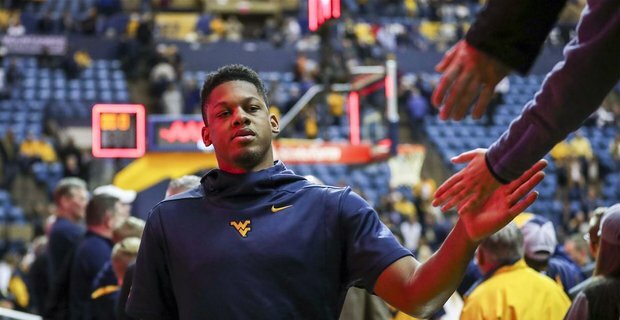 After it was announced Sagaba Konate would make himself eligible for the NBA Draft there was much speculation on whether or not he would return. Erik Martin provides some insight on the situation. After last season, is there really a chance that Sabaga Konate will be projected as someone who will be selected in the NBA Draft? At the beginning of the season it seemed like his only goal was to prove to the world that he could shoot threes and be a “stretch 4″ in the NBA. At 6’8” he would be undersized in that role but he could possibly be a player off the bench in the league due to his athleticism. But on the other hand, is him coming back for his senior season really a strong possibility? After missing most of last season with a mysterious injury and Derek Culver taking over for him, along with McDonald’s All-American Oscar Tshiebwe set to arrive in town, is he guaranteed a starting position spot next season? Huggins is very reluctant to play two big men together, let alone three. Konate averaged 13.6 points per game along with 8.0 rebounds and 2.8 blocks this season. He only played in eight games. His final game in a Mountaineer uniform was against Pitt when he had 16 points, nine rebounds and seven blocks. It was vintage Sags. He had visions of raining threes and elevating his status to a sure first rounder. Unfortunately injuries kept that from happening. My prediction? Sags is done as a Mountaineer. Whether he gets drafted by the NBA or takes his talents overseas, it’s hard for me to imagine him coming back for his senior season. I’m just going off a hunch, but with the way this season went and the youth movement Bob Huggins transitioned the team to, it’s hard to imagine Sagaba Konate coming back and playing a key role on this team next season. That’s not to say he can’t come back and be an impact player for this team next season. It’s just not something I see happening.